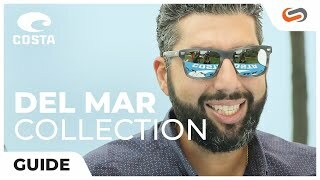 The Costa Del Mar is the centerpiece of the Del Mar collection. Named after SoCal’s mecca of beach life, the Del Mar evokes the laid-back style Californians know and love. These timeless rounded sunglasses also feature the classic keyhole nose-bridge for that must-have look. These sunglasses are crafted with premium acetate, the choice material for holding vibrant colors and patterns. 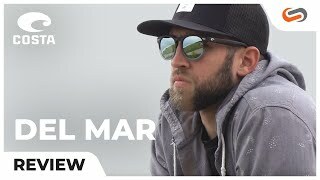 The Del Mar also comes with Costa’s patented 580G technology, polarized glass lenses that provide unmatched optical clarity while enhancing both color and contrast. See better with Costa.